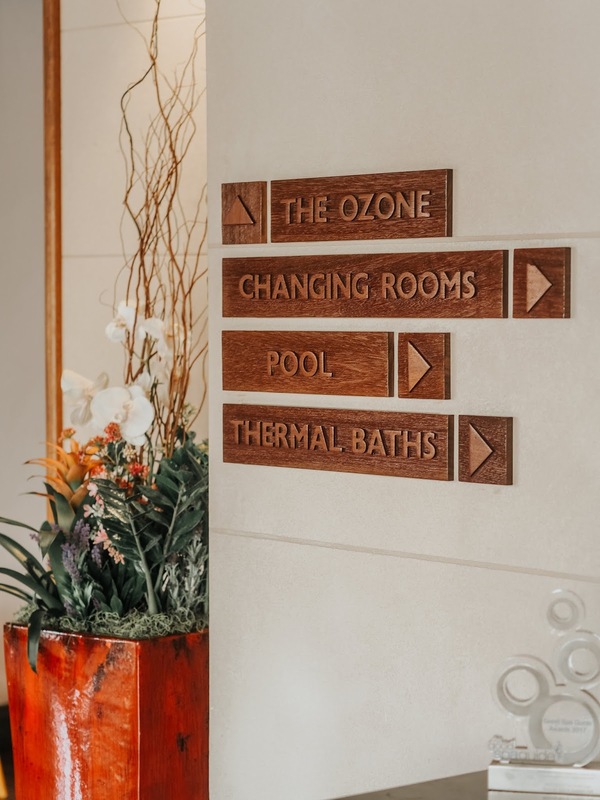 Sometimes we all need a little break from day to day life, and what better way to do so than treat yourself to a much needed Spa break! 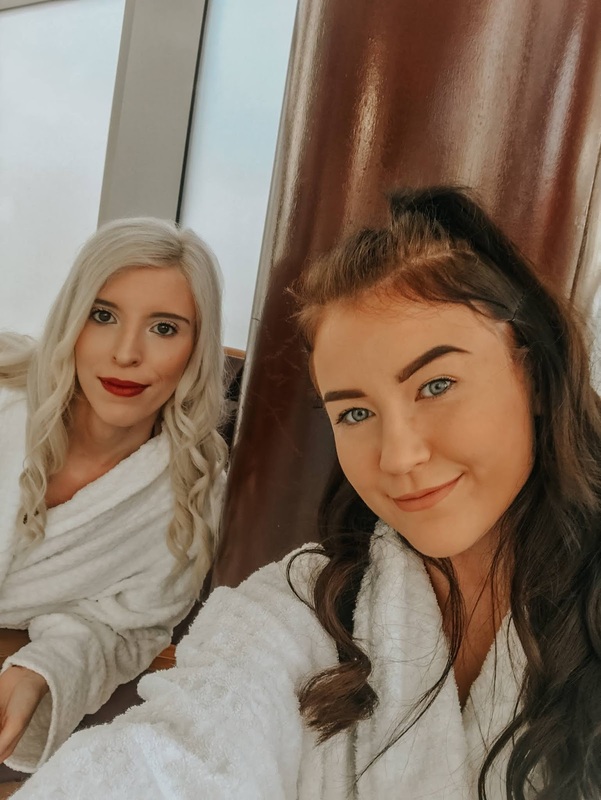 This week I was kindly invited along to Seaham Hall Hotel & Spa in County Durham for a little midweek pamper with my friend Chloe. If you haven't heard of Seaham Hall before, it's a luxury 5* hotel and spa which was first built in 1791! The location is absolutely stunning as the grounds overlook the sea and beautiful coastline. When checking in we were greeted at the desk, and after filling in a couple of forms were taken on a quick tour of the facilities, before handing us our robes and slippers. This is where you'll be given your specified times for your massaged and restaurant booking. Our massages were booked in for 12 o'clock, which means we had two hours to enjoy the facilities beforehand. First up we decided to chill by the indoor pool for a while and relax before exploring what else the Spa had to offer. The pool is very generously sized and is heated so you don't have to worry if you visit here in the winter months! Next to the indoor pool you'll also find sauna's and steam rooms. Also, leading out from the indoor pool is the outdoor areas. Here you can find hot tubs, and the Zen Garden which was by far my favourite part. The Zen Garden is a quiet little spot with an infinity hydrotherapy pool complete with jets, surrounded by relaxation beds. The pool was very warm which was perfect as it means you can enjoy the outdoors even in the colder months, and still stay toasty and warm! 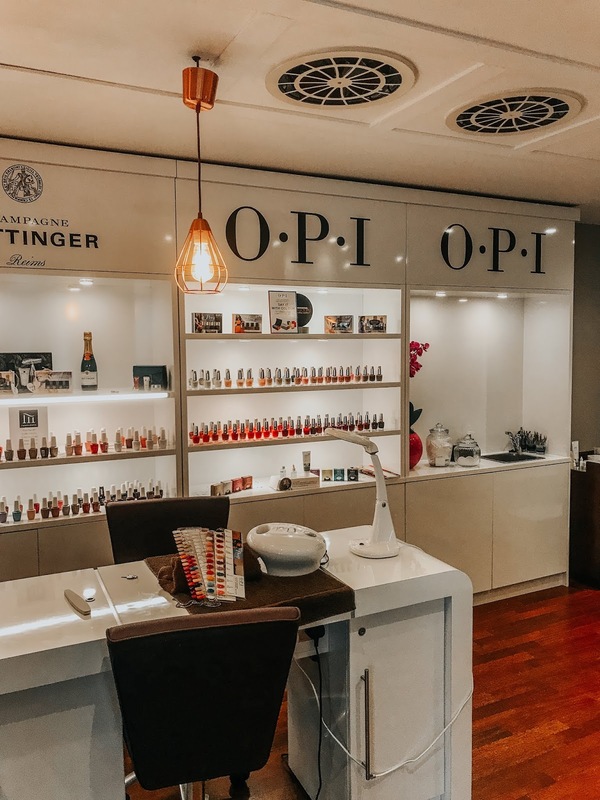 Heading back indoors, you'll also find a nail salon which you can receive an OPI manicure or pedicure for an additional cost. 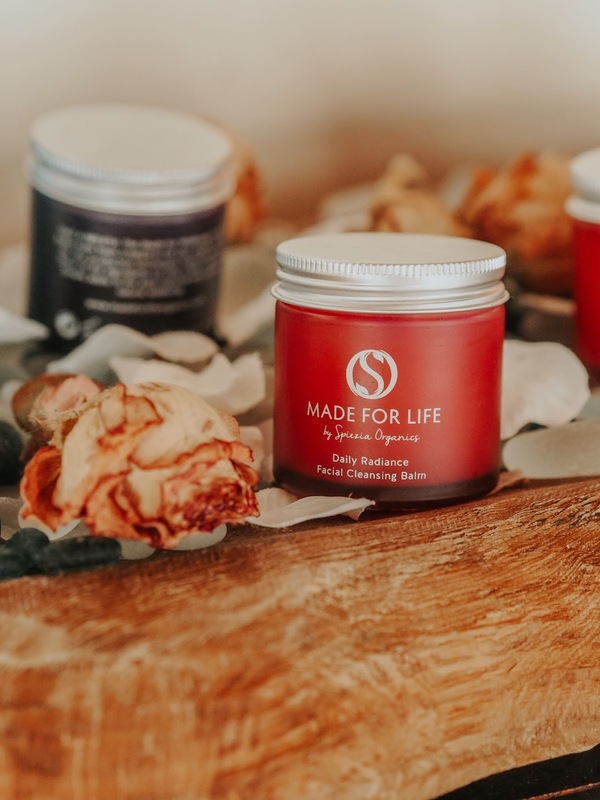 You'll also see a variety of beauty products displayed that are used throughout the spa treatments, including a range of Temple Spa products (which I'm a huge fan of!). 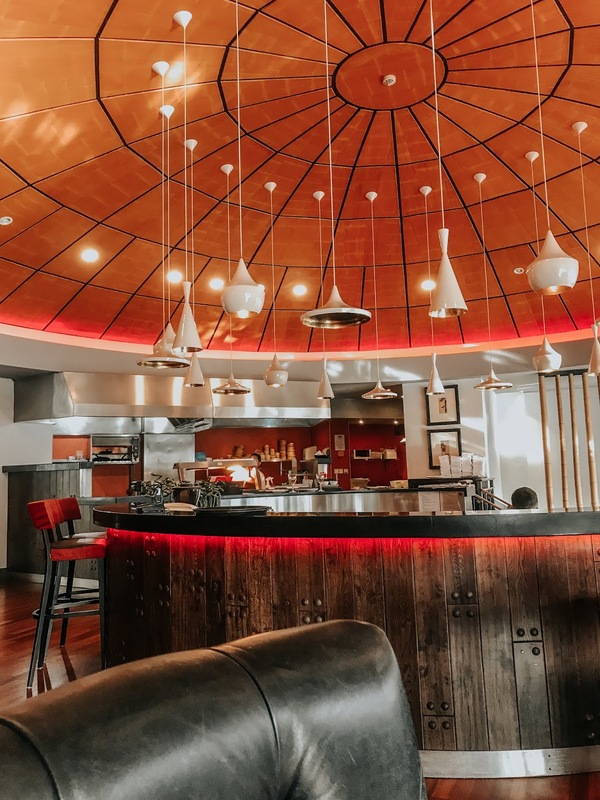 Right next to the nail salon, you'll find the Ozone Restaurant - but more about that later. After me and Chloe spend some time catching up, relaxing and enjoying the spa facilities, it was time for our massages. We headed to the Treatment reception where we waited for our names to be called. I was then greeted by a lovely girl called Chloe who would be giving the massage. We then headed off into our separate rooms to receive our massages. Upon arrival you'll be asked your preferences, if you have an allergies and told what your massage entails. 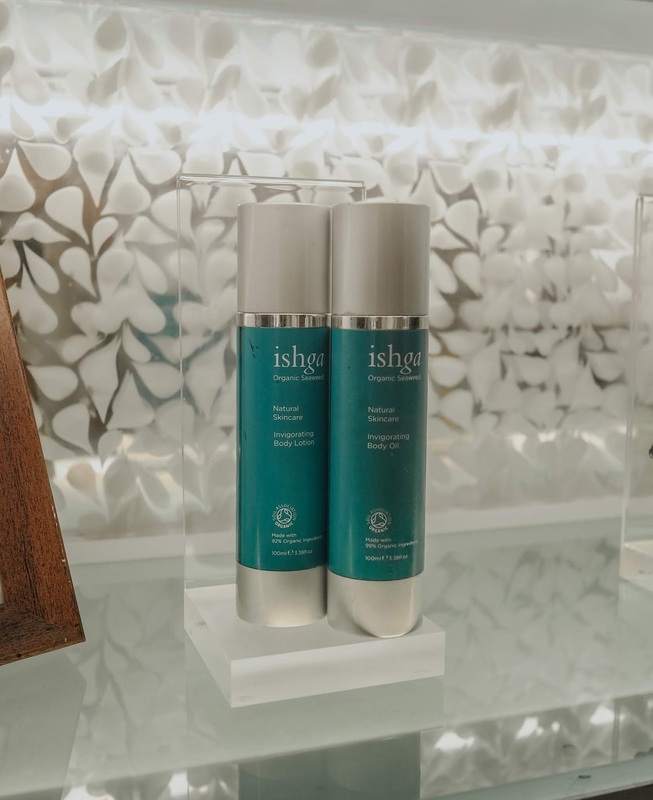 Our massages focused on using Ishga products which combine the purest Scottish Seaweed with natural spring water to achieve that healthy, glowing skin we all crave! The main product used for my massage was the Ishga Invigorating Body Oil which moisturises, and revitalises the skin, aiding in Self Repair. Throughout the massage Chloe was lovely, and was keen to make sure I was at ease, and the pressure was to my liking. I couldn't have been happier with my treatment and was totally relaxed from the moment I walked in, to the moment I walked out! I was so relaxed, I could have easily sat there for a further 45 minutes! 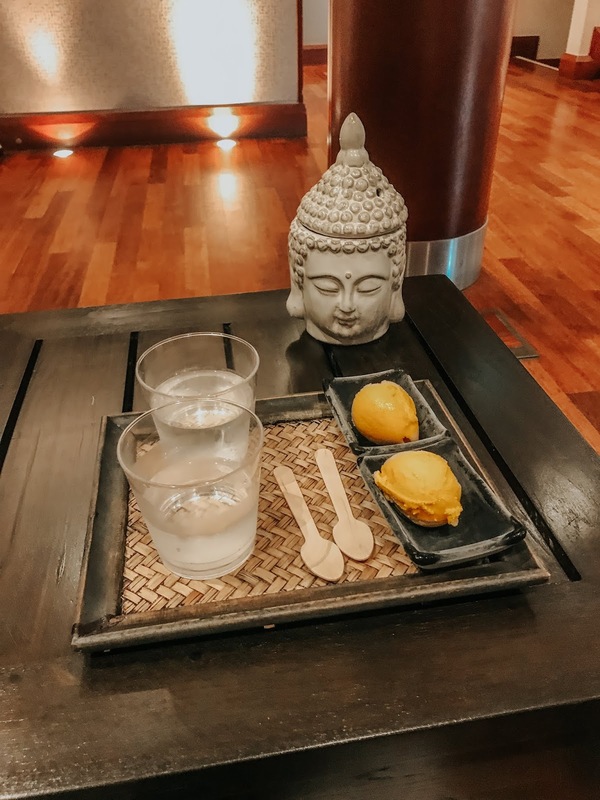 Afterwards, we headed back to the treatment reception where we were giving a refreshing iced water, and some orange sorbet to enjoy before heading back to the spa facilities. By the time our massages were over it was time for out restaurant reservations. 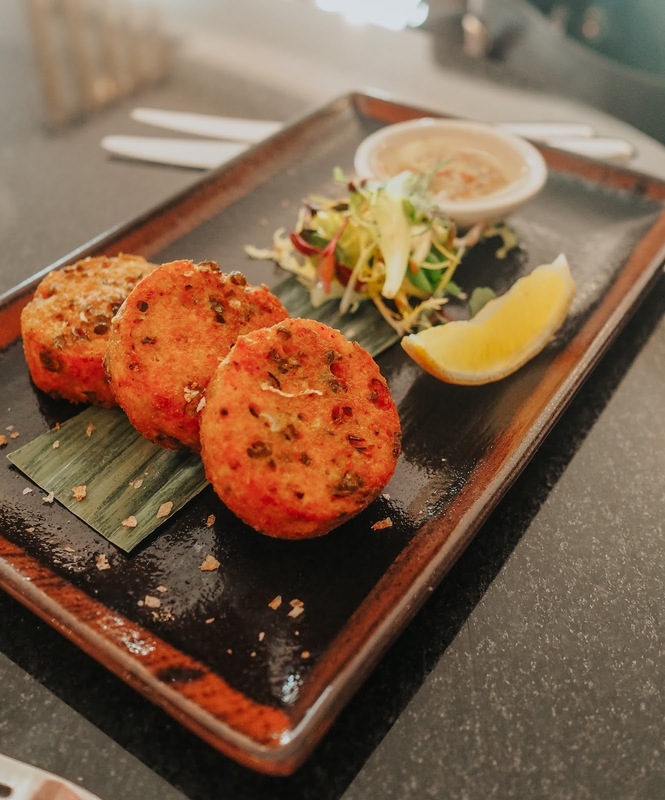 The Ozone is a pan asian restaurant which provides a vibrant dining experience for all. It is complete with an open kitchen, central cocktail bar and outdoor terrace. And don't worry, you can still enter the restaurant to dine in your robes if you wish to! 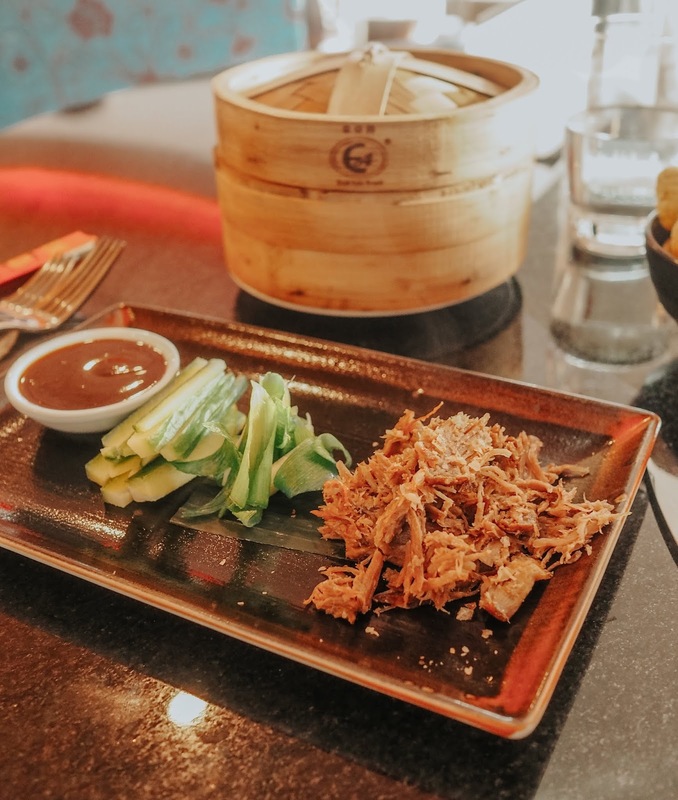 For our starters, I went with the Duck Pancakes, and Chloe ordered the Spicy Fishcakes. The Duck was cooked to perfection, and was easily my favourite part of the meal. The pancakes were light and delicate as should be. For my main, I decided on the Halloumi Salad, whilst Chloe went for the Thai Yellow Curry. We also ordered a side of fries as we were unsure of what the portion sizes would look like. However, on arrival we were both very impressed with the very generous portions. 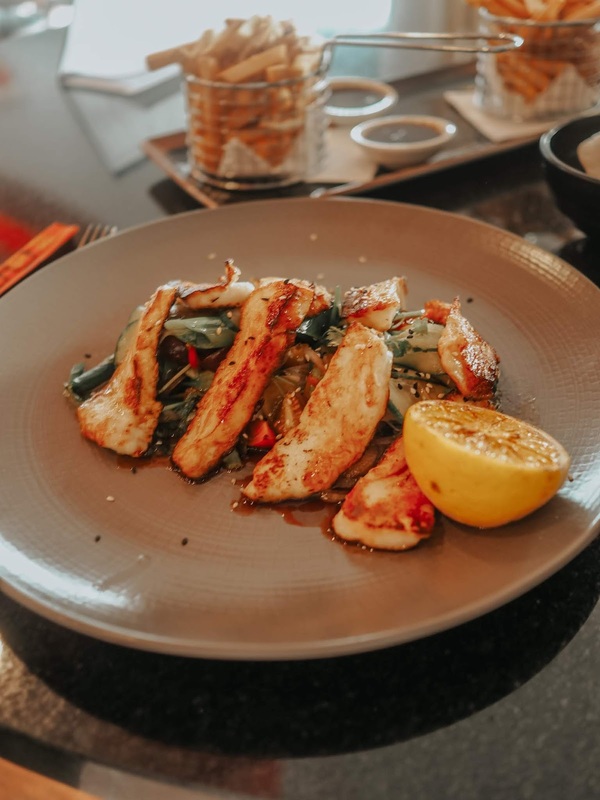 The Halloumi was most definitely some of the best I've ever tasted! The salad was also very tasty and seasoned beautifully, I thoroughly enjoyed the fresh grapes which added something a little bit sweet to the dish. 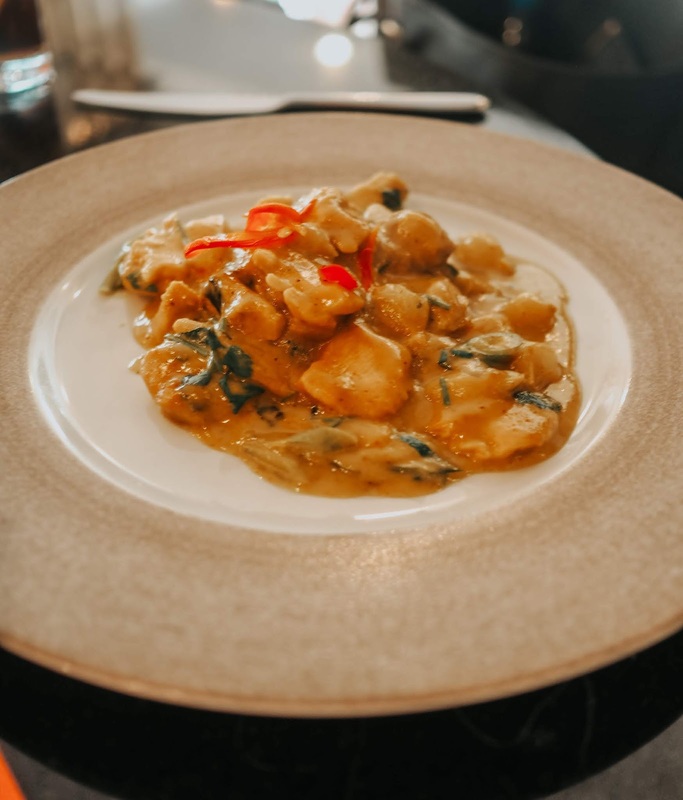 All our dishes were beautifully presented, and the service couldn't have been better with the wait time being minimal. After our delicious meal, we had an hour or so to enjoy some last minute relaxation in the Spa facilities. Overall, we were both very impressed with Seaham Hall and would highly recommend it to everyone! 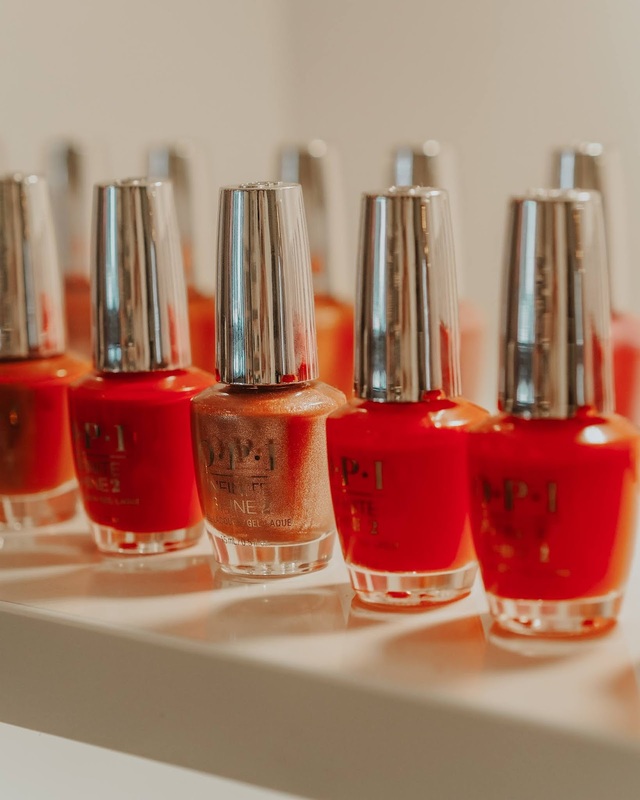 It's the perfect way to enjoy some much needed you time, or catch up with your girls and have the ultimate pamper! 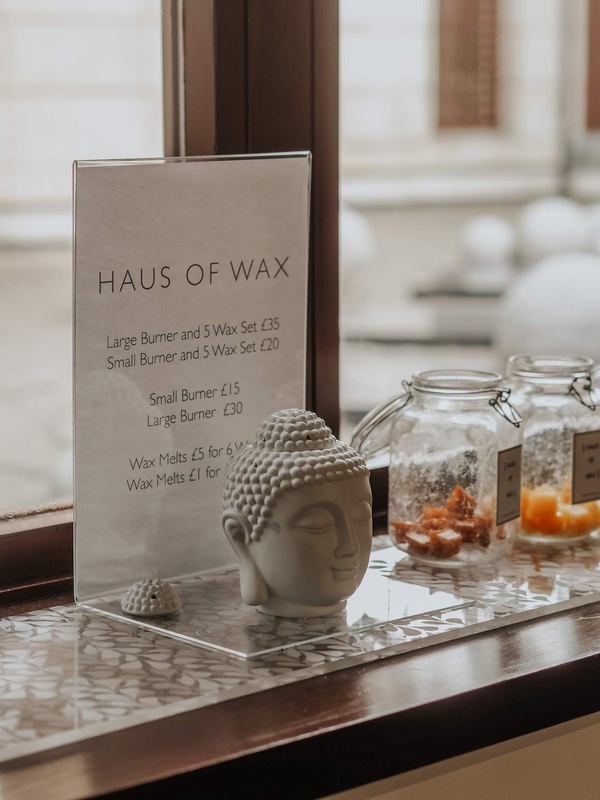 You'll find a range of packages and treatments on their website, so you can tailor your day exactly how you want it. I'd love to visit again in the future and experience the other treatments and spa packages Seaham Hall has to offer. *AD - This post includes a gifted spa package from Seaham Hall Hotel & Spa. All words and opinions are my own. Please refer to my Disclaimer page for more info. Looks so luxurious! I love the little added touch of the sorbet after your massage! I haven't had a good pamper session in forever! That indoor pool looks so relaxing! What a fab mid week treat - I need to book something ASAP! Oh wow, I’ve always wanted to go for a spa day. It looks like so relaxing.